World Youth Skills Day is celebrated on July 15th 2017. Village Aid intern Amy Paterson reflects on the prominence of this day and how Village Aid is working to promote youth education and engagement in international development. Youth unemployment is one of the most pressing issues of our time and is set to continue to rise. In 2015, 2 out of 5 working age individuals across the globe were out of work (ILO, 2015). A large area of Village Aid’s work in West Africa focuses on nurturing entrepreneurial talent in young people in rural areas, developing their skills to run and manage small businesses and helping them access small, low-interest loans to make their ideas a reality. Saida is from Tuobodom village in Ghana. Saida joined her local enterprise group set up Village Aid’s partner and learnt the skills needed to develop a business plan. 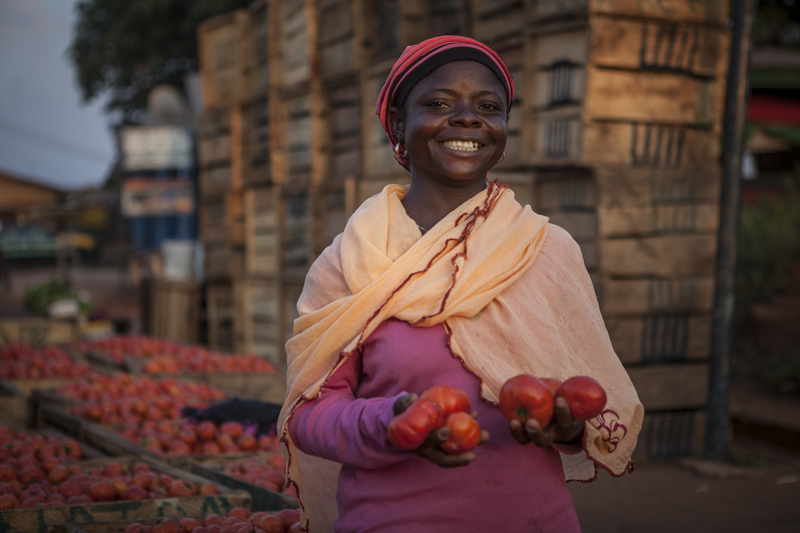 She was also able to access a low-interest loan of 150 cedi (around £27) and is using this money to grow her tomato business. She is now able to invest in new techniques such as organic fertilisers to increase the yield and take her stock to markets in the nearby town. In 2014, the UN highlighted that youth skill development should be an international priority so committed to recognising this on an international day. Promoting a global understanding of how young people can be supported to thrive through training and skills development will be a driving force in the achievement of the Sustainable Development Goals. #WorldYouthSkillsDay presents an opportunity to collectively recognise the importance of youth skills development, giving youth the chance to contribute to their communities’ and international sustainable development. Through empowering young people, they can “better advance the broader mission of the UN for lasting peace, sustainable development and human rights for all”, according to UN Secretary-General, Ban Ki-Moon. Village Aid believes in people working in partnership to bring about lasting positive change. Our global education project, Hands UP, works with young people in the Peak District to build knowledge of global issues, ‘bigger than self’ values and the leadership skills needed to build a fairer, healthier and more sustainable world. If you are interested in getting involved with Hands UP, head to villageaid.org/handsup/ to find out more. PREVIOUS‘In Search of Common Ground’ in Cameroon: Rigorous evaluation on a tight budget?